Magento 2.0, the next generation e-commerce platform is all set to enable the e-commerce industries in a more efficient way. The prediction of the customer's demands and making the website prepared for it is the dictum of the next generation e-commerce. Our developers greet the novelty with technical abilities and make their clients prepared to meet the challenges always. We upgrade your Magento 1.x store to 2.0 or build a new Magento 2.0 website from the scratch with enhanced scalability and security. We rewrite the themes, extensions and provide customized solutions for the upgrade is a rework and not a single click, as we found in earlier upgrades. We adhere to the raising level in the e-commerce strategy and provide the best e-commerce solutions. 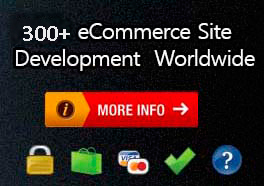 Magento has always confronted speed and performance problem. In this latest version, the speed has been increased to 20% faster than the previous versions. It has introduced a new default theme with tiles structure, typography, responsive images and better performance giving an eye-catching layout for the visitors. The Admin panel could be customized for multiple users or single users. The admin users may create and edit the products without any conflict in the data. The admin panel of the new version is appealing visually and touch-screen friendly. This helps the admin people to manage teh store easily, quickly and efficiently. Magento 2 comes with the ability to have a standalone database which is helpful for the order management and easy checkout process. 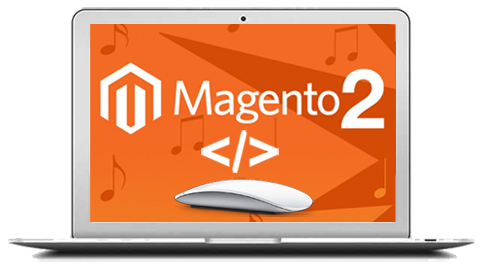 Magento 2.0 is integrated with the HTTP accelerator technology, Varnish Cache which helps in reducing the server load and thus increases the page load speed. The upgrading of the previous version costs less and is easier and faster with information on versioning policies. The built-in Composer implementation within the Magento 2 makes the installation process hassle-free and faster. It has less intrusive shopping cart experience which is responsible to gain higher conversions as there would be less abandonment of the shopping carts. It comes with a combination of high code coupling facilitating CRM, CMS, checkout, sales, and so forth. Further, on emay disable or enable the component and still keep a clean code-base. It is built-in for both the Enterprise and Community edition. It optimises the response site and reduces the load serve also. Thus, teh waiting time would be less than 0.3 seconds instead of 3-5 seconds. It is possible to integrate the video of the products, so that the consumers have a clear look of the products which helps them to take an informed and precise decision in buying the products. The seller and the admin may upload bulk products with CSV easily. The product images could be imported which is simple, configurable and downloadble too. With the Visual Design Editor, it is to drop and drag while editing the Magento layout. Hence, the merchant may make changes in the admin panel with all ease. It is compatible with Hip Hop Virtual Machine ( HHVM 3.6 compatibility) to achieve PHP compilation on the fly which increases the page speed. The upgrades are simplified which reduces the cost and complexity of maintaining the cost. And the amazing features will future-proof the business for the merchants. Magento 2 offers one click account creation from the order success page which is convenient for the users as it saves a lot of time. It possess automated shipping and options of the city based on the zip code saving the time and entry of wrong data(sometimes). It has incorporated advanced payment gateway like Braintree, PayPal and Authorize.net providing more security and easy payment method for the users. It features more than 50% faster page load speeds for catalog and checkout pages, enhances the customer experience and thus bringing in more converts. The new default theme, option for customization of the layout brings in new and enahnced look and feel for the website which beholds the user's interest. The checkout process has been made simpler for the user by eliminating the need to select either the registered or the guest checkout step, saving the time of the user. It has gone out of the box in providing increased security measures by integrating the site with Authorize.net, Braintree, and PayPal payment gateways.